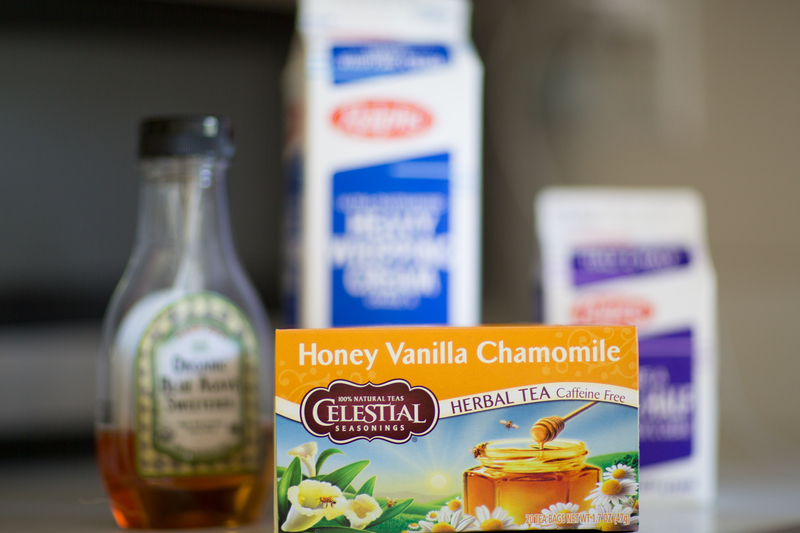 On a cool winter’s night there is nothing better than a steamy cup of chamomile tea right before bed. But what about in the summertime when its hot!? 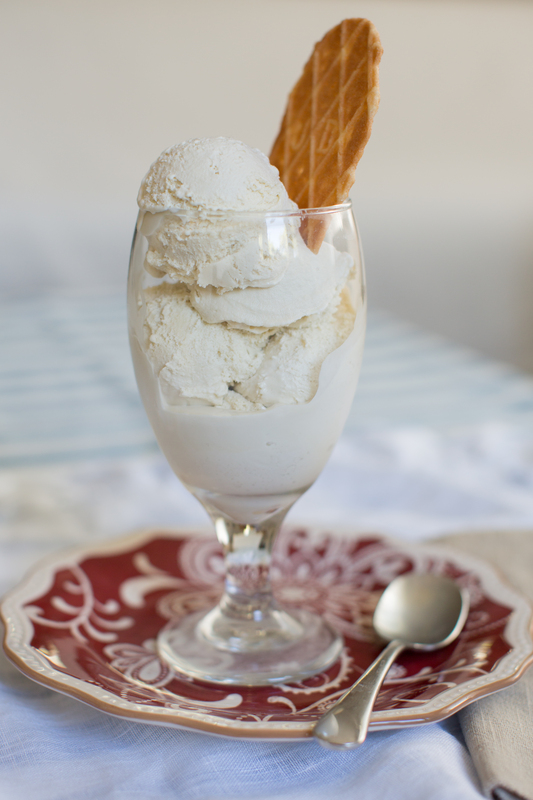 Chamomile ice cream is the answer to that questions. Its been so hot around here lately (well, in Santa Barbara hot means anything above 75 degree’s) and a frosty bowl of relaxing ice cream is just the ticket. If you haven’t tried chamomile tea I highly recommend it. Its know for its soothing qualities and is the reason I drink it before bed. It has a sort of flower meets dried field sort of taste. Like if you stood in the middle of a dry grassy field and opened your mouth when its windy… Well maybe not exactly like that but you get the idea. Anyway, this recipe was modified from a Lavender Honey ice cream recipe by Kevin Weeks that I found online. (The lavender version is amazing too!) Enjoy! 1. Heat half and half, agave syrup, chamomile, salt and 1 cup of the heavy cream in a sauce pan over medium heat until mixture begins to bubble and an instant-read thermometer reads 170 – 175 degrees F.
2. Remove from heat, cover, and allow to steep for 30 minutes. Strain mixture into a medium bowl and discard chamomile. 3. Return cream mixture to sauce pan over medium heat and warm to 170 degrees. Stir in sugar until dissolved. 4. Whip egg yolks in a small bowl then whisk in 1/2 of cream mixture. Whisk egg mixture back into sauce pan and return to medium heat. 5. Cook, stirring steadily until mixture coats the back of a spoon and a finger drawn through the back of the spoon leaves a trail and mixture registers 170 – 175 degrees F. Do not boil. 6. Strain mixture into a medium bowl in large bowl surrounded by ice. 7. Stir in remaining cream, add water to ice, and cool until ice melts then cover bowl and refrigerate for at least three hours until cold. 8. Freeze mixture in ice cream maker according to manufacturer’s directions then scoop into an airtight container and put in freezer to harden.